I love the fluffy! 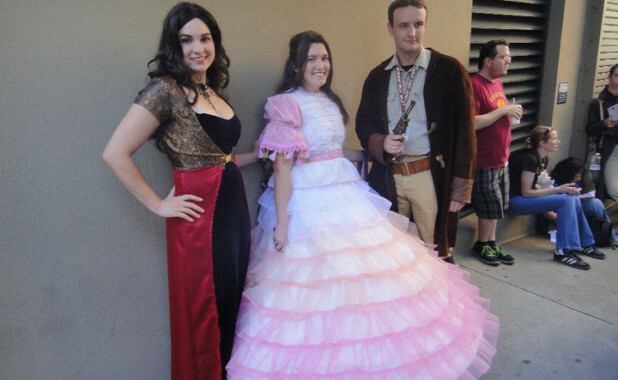 This dress is from the ball scene of the Shindig episode of Firefly. It was extremely recognizable at conventions! Thanks to Caitlin’s amazing website as guidance, I used the VERY ugly Ren Faire dress: Butterick 4375 as a guide for the top. I used 3 colors of silk organza for the skirt but wished I would have used a heavier weight organza as the ruffles are very light. I used a ruffling foot on my sewing machine to gather all of the ruffles (I can’t imagine not using one on this dress!). The embroidered sleeve fabric was made originally from a vintage sari and I had zero chance of finding the real fabric so I embroidered my own using Embird as my digitizer and my trusty Janome 350e. 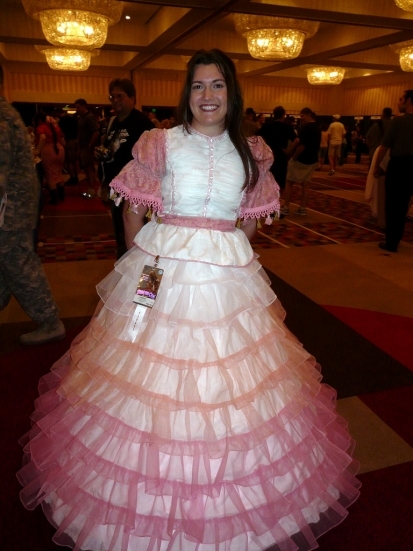 Since I only attend 1 or 2 Firefly costume related events a year, I decided to make a new top so I could wear it as a civil war era ball gown. 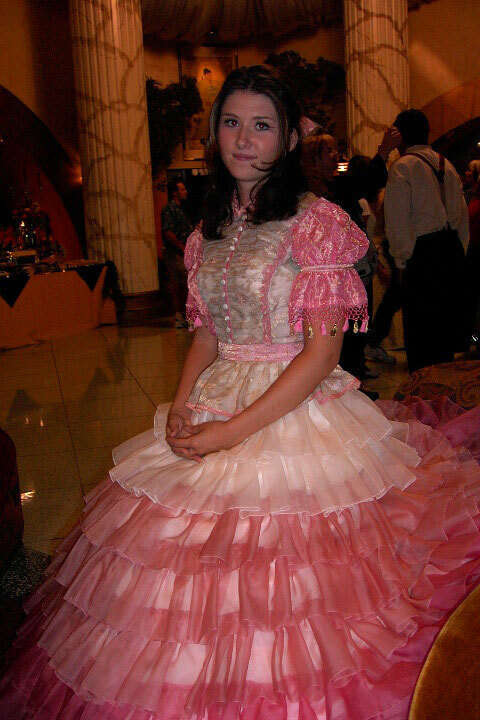 I used Truly Victorian’s 1860s Ballgown Bodice as a pattern.